Nearly a year after we first reported the story of Bibi Aisha, a young Afghan teenager brutally maimed by her Taliban-sympathizing husband and his family, she’s been relocated to the U.S. and become a media phenomenon. But as Gayle Tzemach Lemmon reports, her story does not yet have a happy ending. In a wood-paneled office in a sprawling ranch home tucked away in a pastoral equestrian community, a young woman with shiny shoulder-length hair held back by a single barrette hunts for Pashto-language songs on YouTube. 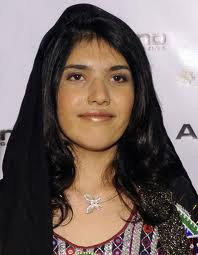 She is Bibi Aisha, the young woman whose image ignited a heated political debate when her maimed face graced the cover of Time magazine this summer under the headline “What Happens if We Leave Afghanistan.” Her story, first reported in The Daily Beast last December, later appeared on World News with Diane Sawyer, which documented her trip to the U.S. for reconstructive surgery to replace the nose and ears her husband and his family severed as punishment for daring to flee after years of abuse. Since then, Bibi Aisha’s case has captivated international news audiences, who now are awaiting photos of the new nose the young woman came to the U.S. to receive. Until now the media has largely portrayed Bibi Aisha’s story as a tragic story with a made-for-TV ending about a young woman’s journey to the United States for a second chance at a new face and a fresh start. The reality is that rebuilding a life, particularly one marked by harsh years of abuse, is far more difficult and complicated than headlines permit. So far doctors who have evaluated Bibi Aisha say that she is not yet emotionally ready for the endurance test of reconstructive surgery, as she continues to suffer from seizure-like incidents in which she recedes deep into herself, pulling at her hair and appearing to flash back to her past. In the past 3 1/2 months, she has been in and out of local hospitals and shuttled among host families, with staff and volunteers from the Grossman Burn Foundation, which sponsored her trip to the U.S., fighting to figure out the best way forward for the troubled young woman. In a culture that revels in happy endings, Bibi Aisha’s story is a lesson in the understanding, patience, and determination real life often requires, and the depth of psychological wounds caused by years of severe abuse that not even the world’s best plastic surgeons can easily fix. For those who have helped to care for Aisha during the last few months, it has been a wild ride. The high-profile patient they brought from Afghanistan needed far more than simply a set of surgeries, they quickly realized. Aisha has endured prolonged beatings and deprivation for much of her life. The maiming that severed her nose and ears was only the most extreme abuse at the hands of a husband and in-laws to whom her father had given her as a girl to settle a criminal dispute between the families. Her mother died when Aisha was only a child. Landing in Los Angeles, with its shimmering kaleidoscope of sun, glitz, and gridlocked traffic, is often a shock even for Americans from other parts of the country. For a girl from a rural and remote part of southern Afghanistan who had never been to school, or even lived with running indoor water and constant power until a year ago, the transition was more than daunting. Yet while Aisha has struggled emotionally, she has shown remarkable agility in adapting to the country now hosting her. The young woman who never set foot in a formal classroom has quickly taken to the Internet and the joys of YouTube, and even has begun to teach herself English using an online program designed for American schoolchildren. She is a deft text-messager and an avid cellphone user. And she has blossomed as a jewelry designer, a skill she says she first learned in prison in Kandahar, following her escape from her husband, and later honed in more formal training at the Kabul Women for Afghan Women shelter. Grossman staff and volunteers have provided Aisha with beads from the local Michael’s craft store, and she has created a collection of elegant beaded necklaces and bracelets, some translucent, some pearl, and some in vibrant hues. A number of women who have met Bibi Aisha and wanted to help have found customers for her creations. None of this progress, however, means that Aisha is yet ready for surgery, according to doctors. They say that she eventually will be emotionally strong enough for the reconstructive operations required to rebuild her nose and ears, but they want to be certain she is more comfortable in her surroundings and better able to handle her emotions before beginning a series of painful and temporarily disfiguring operations over a three- to four-month time frame. In the meantime, she has the remarkably real-looking and painstakingly crafted prosthetic nose created by Dr. Stefan Knauss, which she wore at the October gala for the Grossman Burn Foundation, where she stood on a red carpet before a throng of flashing cameras and met such notables as former first lady Laura Bush and California first lady Maria Shriver. Aisha applies the prosthetic herself with a glue-dipped Q-tip, though she often finds it uncomfortable to wear for long periods of time. Grossman Burn Foundation staff and volunteers have sought to provide emotional care and a sense of close-knit community for Aisha amid all the unpredictability, even hosting her very first birthday party, cake and Afghan music included. Often they have been at a loss to know exactly what help she needed and in what order to offer it. What is certain, though, is that this young woman whose case has now drawn attention from around the globe has touched them deeply. It is the young woman’s resilience that has left the most lasting impression. Grossman, whose husband, Dr. Peter Grossman, plans to perform the surgery, says she has learned a great deal from her experience helping Bibi Aisha and Zubaida, another young woman from Afghanistan whose burn injuries required years of operations in the United States. The reality is, intervening is often far more complicated than it sounds. “It is so difficult and so challenging to bring people from other parts of the world to America,” says Grossman, sitting in her living room surrounded by her children’s toys. Many times the patients the Grossman Burn Foundation brings to Los Angeles for treatment find it difficult to function in their native villages and cities after the disjointed experience of life amid the attention, amenities, and luxuries of modern life in Los Angeles. The story of one young boy whose case came to Grossman from a U.S. serviceman serving in Afghanistan’s Farah province haunts her in particular. After months of living with a host family in the U.S. while undergoing surgery to recover from a harrowing injury that left his ears and neck connected, the young boy returned to his family, where he struggled to learn to live once more in hardship and poverty. Today, having managed a number of cases in which the Grossman Burn Foundation has hosted men and women from economically devastated Asian and African countries, she thinks the resources dedicated to individual cases might be better devoted to supporting doctors in their native countries so that the arduous cultural transitions might be avoided. Regardless of the challenges, Aisha, for her part, remains determined to get the surgery and to create a new life for herself, one in which she makes her own decisions. Women for Afghan Women has now brought the young woman to the East Coast, where it hopes she will find the solace and stability she needs to prepare her for the path ahead and surgery down the road. They will hire teachers to help her learn English and other skills. And she will continue her jewelry-making. To cover her expenses, Women for Afghan Women has set up a trust fund, as it cannot use any current grant money on Bibi Aisha’s behalf. Like Grossman and Moayer, Hyneman says she has learned a great deal in the time she has known this exceptional young woman whose case has sparked so much emotion in so many people. Gayle Tzemach Lemmon is deputy director of the Women and Foreign Policy Program at the Council on Foreign Relations. She has spent the last five years reporting on women entrepreneurs in conflict and post-conflict regions, including Afghanistan, Rwanda and Bosnia. Her upcoming book, The Dressmaker of Khair Khana, will be published by HarperCollins in March 2011.